Ok, I admit it, I may not hate Valentine's Day that much anymore. There, I said it. 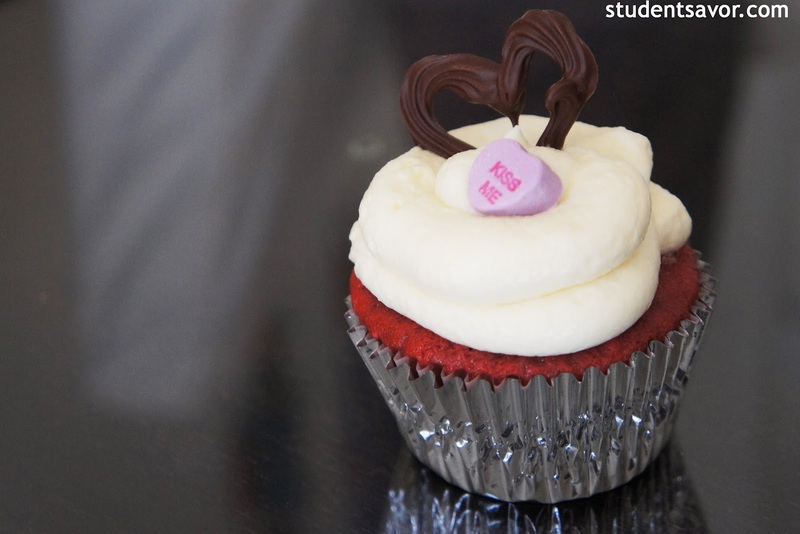 I know this post contradicts yesterday's, but I fell in love with the cupcakes I made today. So I am ready to take on tomorrow. 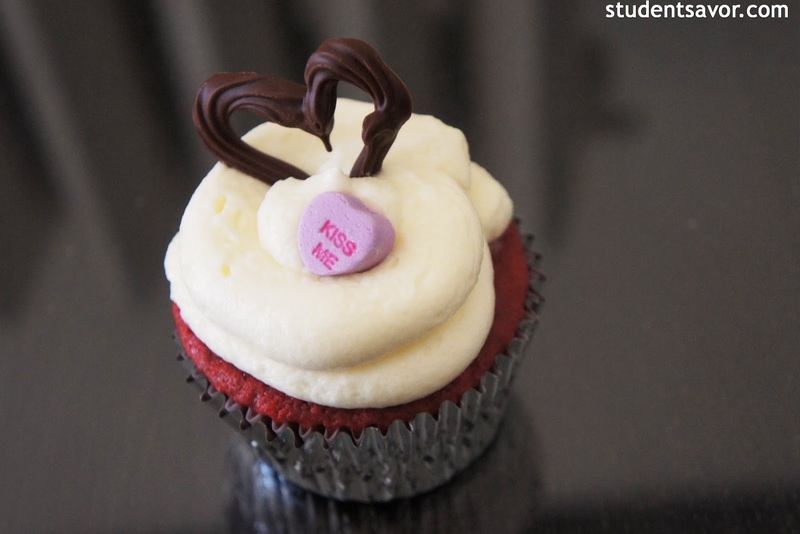 We (the TasteBUds staff) are having a bake cupcake sale to raise funds for what will hopefully be our first printed issue. It's exciting to imagine that in a months time I might have 500 copies of the magazine in my hands--fingers crossed and knock on wood. Anyways, here is my contribution to the "great" day of Saint Valentine. 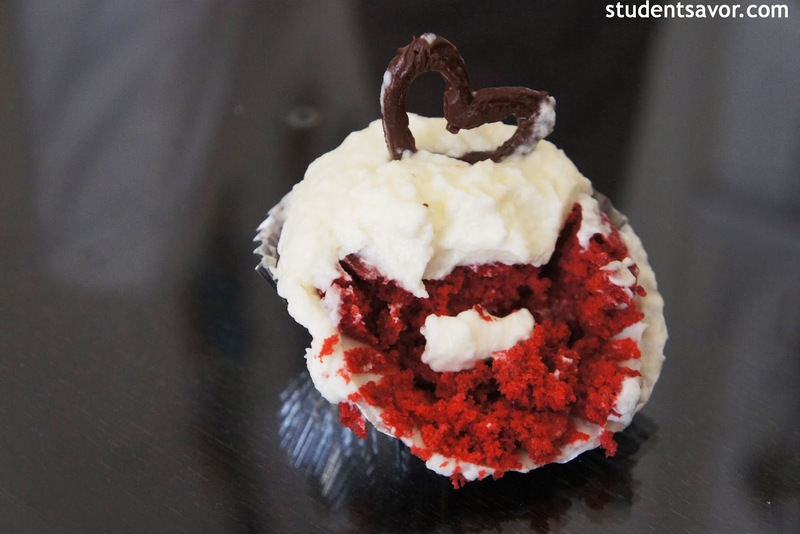 These cupcakes really are delicious, I have made them several times and they are a hit. Plus, they are just so cute. Enjoy! Active time: 30 minutes. Total time: 50 minutes + cooling. 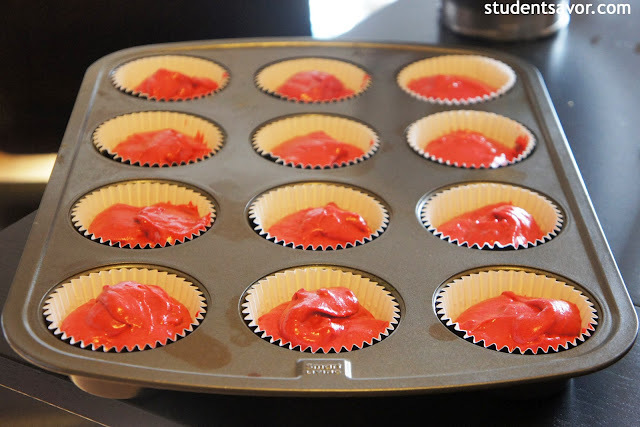 Preheat oven to 350 F. Line two 12-cupcake pans. In the bowl of an electric mixer, cream butter and sugar on medium-high speed until fluffy, about 3 minutes. Add eggs one at a time, blending well after each one. In a small bowl, make a paste using the cocoa and the food coloring. Add to the butter mixture and beat until well combined. Sift flour and salt into butter mixture, while beating on medium speed; beat until fully mixed. One at a time, add the buttermilk, vanilla, and water. Beat on low-medium speed until combined. In a small bowl, mix vinegar and baking soda. Fold into the cake batter until incorporated; being careful not to over beat. Divide batter among cupcake tins, filling each about 3/4 of the way. Bake for 15-20 minutes, or until a toothpick inserted in the middle of a cupcake comes out clean. 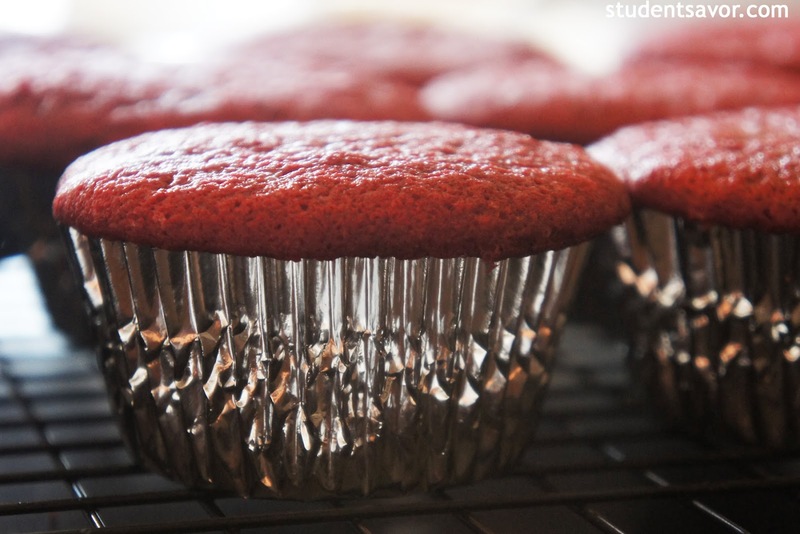 Place tray over rack and cool for about 15 minutes; remove from tin and cool completely before icing. Here is the delicious mascarpone icing that I topped them off with.